Part of the fun of having pets is the accessories. It’s always cute when you see the little dogs with the colors and leaches. Luzepets has a huge selection. If you have a smaller pet you should check this out. The designer collars feature soft faux leather or ultra suede and stunning sparkling crystals. These gorgeous designer collars add just the perfect touch of bling! They are also proudly made in the USA and have matching leashes! Please note that collars are for smaller dogs, so check sizes carefully. Luxepets Inspirational tags and St. Francis and Religious charms. The charms and tags are made of lead free zinc alloy ans can be used as a pet tag or even on keychains or pendants. They can also be engraved on the back to use as a pet ID tag. Check out what Miss Molly Says thought about the Luxepets collar, leash, and charm that Little Bit is now sporting in their full review here. Luxpets pet collars, leashes, tags, and charms would make great gifts for our furry friends this holiday season! Check them out today online at Luxepets! 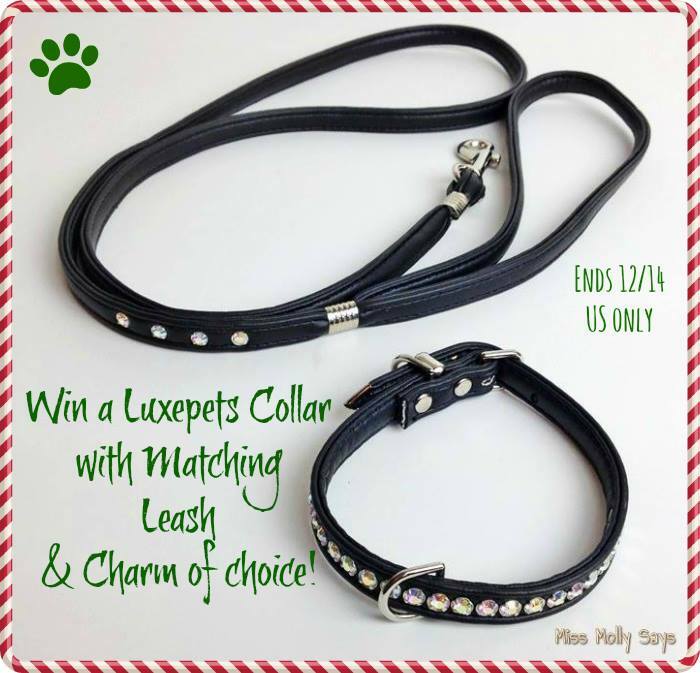 Luxepets Collar with Matching Leash and Charm of choice! 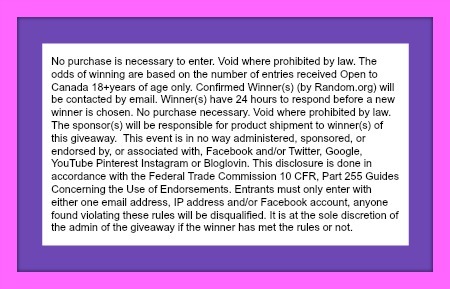 Giveaway ends 12/14 at 11:59 pm ET! Open to US residents 18+ and older. I would choose the jackie o black on black collar and the small white st. francis charm. I like the Double Row Char Collars Hot Pink and the Guardian Angel Dog Charm Pink. i like the red Jackie O collar and leash and the Best Friends charm. I like the black cat collar and the best friend charm. I like the Ashley Designer Crystal Red Dog Collar with the Pendants Guardian Angel Dog Gold. I love the vegan leash and collar combo in pink! I would choose the Ashley Designer Crystal Hot Pink Dog Collar or Double Row Char Collars Hot Pink and Cross Charm Blue. I like the Ashley designer collar in red and the Guardian angel tag. My favorite combo is the Jackie O Designer Dog Collar in Teal & the Pendant Lucky Buddha tag. I would pick the Jackie O Designer Dog Crystal Collar in Lime and the Lucky Clover Pendent! Double Row Char Collars Black. I think the Double Row Char Collars Black with the Guardian Angel Dog Blue Pet Charm I think the blue on black would show up very well. I like the Jackie O Designer Black on Black dog collar with the guardian angel “protect my dog” charm.